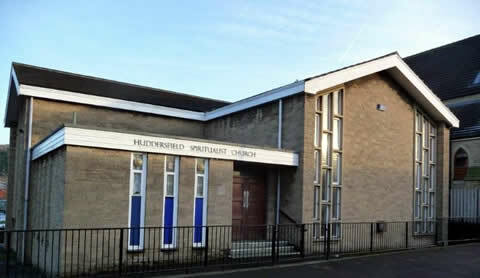 Huddersfield Spiritualist Church offers a warm and sincere welcome to all our visitors. We are open to all, not just our own members. We are conveniently situated just off the Huddersfield ring road, off the A62 Huddersfield - Leeds road. We are registered to hold all official services – Weddings , Namings , Funerals etc. Please see Ceremonies for further information. We are affiliated to the Spiritualists National Union, and the Church is run according to the S.N.U. Rules for Churches. Click here to take a virtual tour of our Church. Click here to view our current Church Committee. From the Huddersfield ring road take the A62 (Leeds Road). Turn first right into Old Leeds Road. The Church is situated 200yds on the left. We have a small car park to the left of the Church and there is ample on-street parking. Parking charges do apply Monday to Saturday 8am to 6pm and Sundays 12noon to 6pm.